For many recruiters, cracking the virtual code can be a challenge. Don’t worry. We’re here to help you break through the noise and stand out from the crowd using proven methods and one simple tool. Whether you’re looking to get into healthcare recruiting as a career, you’re a current healthcare professional looking to make a little extra money, you’re a full-time recruiter seeking a side hustle that could lead to larger opportunities, or you own a full-time recruiting agency, cracking the remote and virtual recruiting code can be a challenge. We’re here to help you through it as we examine the state of online recruiting, the role of crowdsourcing jobs, and how to become a virtual recruiter. To understand how you can become a virtual recruiter, you have to first understand where the industry is and why. The good news for healthcare job seekers is also the industry’s biggest challenge: Jobs are on the rise. The Bureau of Labor Statistics projects healthcare jobs will grow 18 percent by 2026, adding nearly 2.3 million jobs to the economy. But there aren’t enough people to fill those jobs. This creates an opportunity not only for recruiters, but also for people with personal networks of healthcare professionals. To make things even more challenging, employers are trying to fill jobs using older, inefficient systems. A study by Deloitte found companies are spending $4,000 on average interviewing, scheduling, and assessing candidates, as traditional job postings are bringing in less and less qualified people. While many employers are turning to staffing agencies in order to offset staffing costs, those agencies simply can’t keep up with demand, and use the same tired strategies of job boards and recruiters on the phone. These strategies are not only difficult to scale, they aren't actually able to save a company money in the long run. Great candidates can be hard to find. And therein lies the opportunity. So where can we find qualified candidates to fit the healthcare industry’s needs? From those actively working in the industry. Crowdsourcing has become a huge part of the digital landscape as people leverage their networks—friends, social media followers, etc.—to solve specific problems. Recruiting is a natural next step for employing the power of crowdsourcing, especially for healthcare jobs. Healthcare recruiting as it stands is plagued with inefficiencies. Many healthcare staffing professionals use different systems for every task — systems which tend to be outdated and human-powered. This, combined with a talent shortage, opens the door wide for crowdsourcing as recruiting. With candidates looking to social media for job opportunities, social network recruiting is on the rise, but responses from these networks can be low. Companies need to be able to layer on a level of trust, which is where you—the recruiter or healthcare professional—come in, leveraging your relationships and your role as a trusted friend or professional connection, providing peer-to-peer referrals. But how can you monetize your networks and get the right jobs in front of the right people? To get in on the recruiting needs in the healthcare industry, go remote. In our digital world, work can be increasingly done from anywhere, and healthcare recruiting is no exception. The growing gig economy is perfect for those with an existing network who are looking to get in on virtual recruiting and kickstart their career. Private contractors can expand their opportunities, and those looking for remote work or the chance to work from home can make that a reality. New recruitment tools and technologies also make the digital space a way for existing recruiters and smaller agencies to expand their reach for greater success overall. The first step to becoming a virtual recruiter is to leverage your network. The industry needs qualified candidates, and if you know people working in healthcare, you already have a leg up. 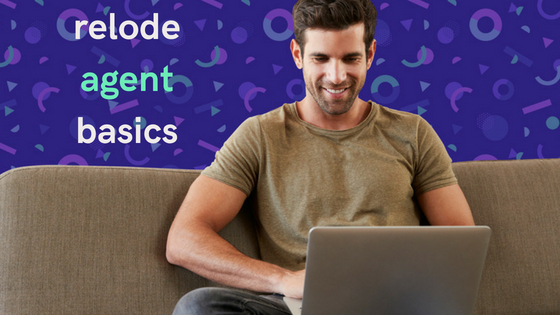 The next step in your journey to become an remote recruiter? Decide if you want to fly solo or work with a recruiting agency. Joining an agency can offer a number of benefits, including access to tools for job boards, an existing brand with credibility, and more. But working for an agency isn’t for everyone. As an independent recruiter, you’ll be responsible for creating your business from the ground up, including finding the right tools as well as acquiring the jobs you need to fill, which are a necessary component of your success. But, you’ll also have more flexibility and freedom, whether you work from home, a coworking space, or in an office with others. You can make virtual recruiting a side job or, with the right tools, transform it into a full-time, salary-level income source. The good news? There’s a community out there focused solely on healthcare that’s bringing together crowdsourcing, recruiters, and the best jobs all in one place. Relode makes it easy for recruiters (we call them agents) to search for jobs that match their candidates and networks then simplifies the reward process when those candidates are hired. Whether you’re a recruiter new to the industry, an agency, or someone looking to help your friends find the best jobs while making money on the side, Relode can help. And because Relode is owned by some of the most trusted healthcare companies, you’ll have access to exclusive jobs not found anywhere else. With Relode’s job board, you can use keywords to find specific positions, search by job location, or filter by category (full time, part time, etc.). Plus, you can leverage your social media networks with a social sharing option. Relode also offers tools to help you stay on top of job openings. Sign up for a weekly or daily email about referral opportunities. Receive immediate notifications about new jobs that match your profile. And join the team each week for our optional Agent Advantage Call, where you'll get insider access to new jobs and insights into new markets. Relode's virtual recruiting platform takes the heavy lifting off agents' shoulders by working directly with hiring companies and candidates, enabling agents to connect the perfect candidate to the perfect job, without the traditional recruiting runaround. But don’t worry. A customized dashboard keeps you in the loop with regular updates on where your candidate is in the hiring process. Once one of your candidates is hired, you’ll receive your reward based on the guarantee period—the amount of time your candidate needs to stay in a position (usually 60 or 90 days). You’ll receive 50 percent of your reward halfway through the guarantee period, and the other 50 percent at the end of the guarantee period. So you don’t have to waste time tracking down your rewards and can instead focus on placing more qualified candidates in more jobs. Today, $11.9 million worth of rewards are available within the platform, up from $6.5 million at the end of 2017 (a growth of 300%). Agents earn an average of $4,500 per candidate placement, top agents have already earned up $15,000 and rewards are available up to $27,500, making a full-time recruiting career a real possibility through our platform. Don’t just take it from us. Hear from actual Relode agents about how we’re changing their recruiting process. Read success stories from Relode recruiters here. 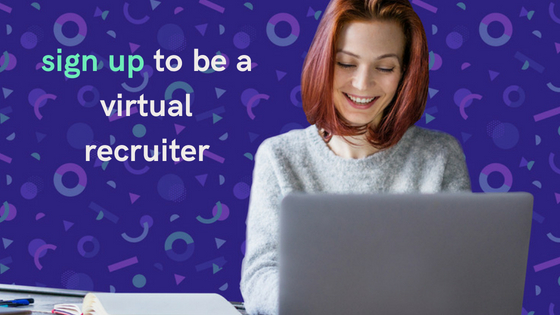 Your pathway to become a virtual recruiter has never been easier. Sign up today to start leveraging your network with a healthier approach to healthcare recruitment.